Just Cruisin’ Podcasts with Larry Jackson. Larry is a designated Master – Elite- Luxury Cruise Counselor and former host of the long running radio show Just Cruisin’ on WMMB radio in Melbourne Florida. Here you can find and listen to past shows all about the world of cruising and travel. Larry’s shows run the who range of travel; from destinations, travel tips, cruise reviews and humor which makes for an engaging listen. You can also find valuable interviews with most cruise lines and other travel providers. When it comes to cruising and cruise ships, the best education by far is to actually sail. Lynda and Larry have been sailing aboard cruise ships or over 15 years. Our running total so far is over 90 cruises and counting with 35 of those being specialty groups we have escorted. 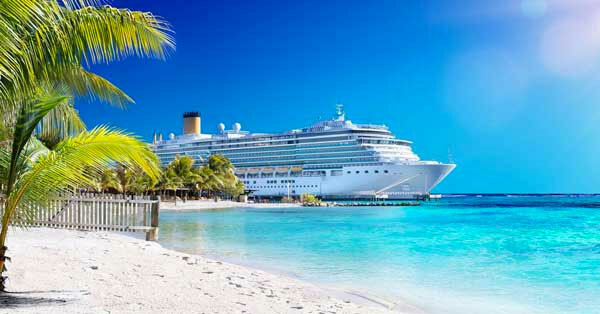 We have planned and sold over 6053 cruises including over 115 group cruised planned and escorted!